We provide accounting services and financial guidance to help you reach your goals. What can Craft Noble & Company do for you? Renfro’s Collision relies on Craft, Noble & Company for management advisory, tax planning, tax compliance, and accounting services. When changes in the tax law occur Craft, Noble & Company, PLLC keeps businesses like Renfro’s Collision prepared with tax planning strategies to allow for them to be successful in business and keep their attention on their customers. 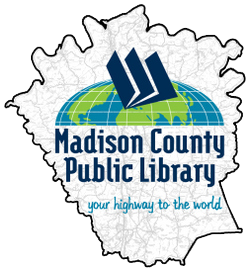 The Madison County Public Library relies on Craft, Noble & Company to provide audit services. The Library strives for public service excellence as a welcoming community center whose resources and programs provide for the diverse needs of the Madison County community. The Library serves as a safe space for the residents of Madison County and offers programs for all ages as well as access to books, games, internet and movies. Falls City has a heritage as one of Louisville’s oldest breweries, founded in 1905, Falls City is available in local restaurants and bars across Kentucky, Indiana, and Tennessee. Falls City has a singular goal: Simply make great craft beer. Be sure to checkout their new brewery and taproom located at 901 E. Liberty Street, just east of downtown Louisville. A provider of custom screen printing, embroidery and promotions products, First Gear Custom Sportswear stands ready to serve the advertising and promotional needs of businesses, clubs, and organizations across the state. Craft, Noble & Company has provided management advisory, tax planning and tax compliance services to the Company for over a decade. Fahe leads a Network of 50+ locally-rooted nonprofits in building communities and economies that work throughout six states in the Appalachian region. Since inception, Fahe has served over 535,000 people, made $784.8 million in direct investments to the region, and achieved a total cumulative financial impact of $1.43 billion.